Marie Lyon, chair of the Association for Children Damaged by Hormone Pregnancy Tests, responds to the publication of a systematic review on oral hormone pregnancy tests and the risks of congenital malformations. I am the mother of a daughter damaged by Primodos, a hormone pregnancy test. I am also privileged to be the chair of the Association for Children damaged by Hormone Pregnancy Tests. 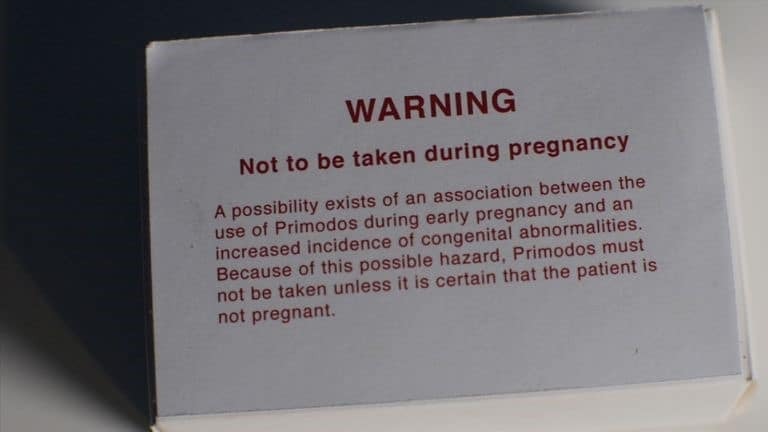 Primodos contained 40 times the strength of an oral contraceptive in two tablets and was used as a pregnancy test. The tablets were given without patient information or consultation in the 1960s and 70s. We have been fighting to expose evidence of adverse effects and regulatory failures since 1978. On visiting Kew archives we found historical files that documented evidence of regulatory failures. There were many warnings received about the dangers of HPT’s. Some files listed in the archives had been removed and other files we tried to access were still sealed. In 2015, I was able to access the Landesarchiv in Berlin (where many important German archives and repositories are held) where I found files containing almost 7,000 pages of letters, documents and studies from Schering to UK and German Regulators and legal firms. These files led to a back bench business debate in Parliament, where the minister agreed to hold an inquiry into HPT’s and possible adverse effects. The Commission on Human Medicines and the Medicines and Healthcare products Regulatory Agency (MHRA) formed an Expert Working Group (EWG) whose terms of reference were “a review of all scientific evidence for a *possible* association between HPT’s, congenital abnormalities, miscarriages, abortions and stillbirths. There were seven EWG meetings, which took almost 2 years. As a patient participant I was allowed observer status at the meetings. I received a draft copy of the EWG report and was truly shocked to discover the group’s conclusions stated “there was no *causal* association. The agreed terms of reference were, however, different on this report as they were supposed “to find a *possible* association”, which not referenced anywhere in the report. I was asked to present feedback on the report, to the CHM. After presenting my feedback an updated report was published with amendments but still the same conclusion. As a patient representative I was concerned, confused and upset about the conclusions of the report and as a last resort contacted Professor Carl Heneghan to ask him to review the evidence submitted to the EWG. I had been advised that Professor Heneghan was completely independent from government regulators and pharmaceutical companies. It was vital to our group to obtain a completely independent scientific review, free from bias or outside influence. Professor Heneghan made it clear that he would review the science and publish the results whether it was good or bad for our members. I was happy to accept the conditions and as part of the review process we are asked to comment on the important outcomes that mattered to affected mothers and children and the location of some of the German Documents that might be included in the review . The review, once published was particularly important to our members, to prove the science did exist to show an association between HPT’s and adverse effects. The MHRA and CHM have stated that until the science is acknowledged, past regulatory failures will not be investigated. Most of our members are now seventy plus in years, and some are still caring for their affected children, now in their 40’s and 50’s. Others suffered losses – we took the tablets without question and as a result we all have to live with that guilt. All we wanted was the truth about HPT’s exposed, and ensure interventions used in pregnancy are safe for future generations of women. The Evidence Synthesis Working Group is funded by the National Institute for Health Research School for Primary Care Research (NIHR SPCR) [Project Number 390]. The views expressed in the review are those of the author(s) and not necessarily those of the NIHR, the NHS or the Department of Health. The funders had no role in study design, data collection and analysis, decision to publish, or preparation of the manuscript.